TruWeb is lightweight, scalable, and cross-platform. TruWeb was designed with a developer mindset, to provide you with maximum flexibility. It can be used on any platform (Windows, Linux, macOS) and across any IDE, enabling you to script and execute load tests as part of your continuous testing process. You can create a script using a variety of IDEs and tools: Micro Focus Virtual User Generator (VuGen), Atom.io, JetBrains WebStorm (IntelliJ), and many more. 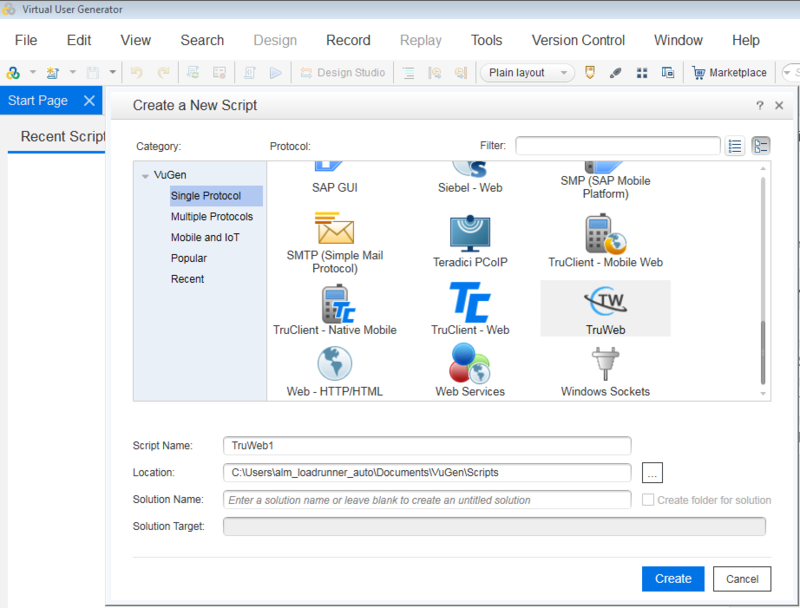 Then you run your script using the standalone TruWeb installation, which can be up and running in minutes. Alternatively, you can use one of Micro Focus’s performance testing solutions: LoadRunner/Performance Center/StormRunner Load. This download does not include the TruWeb engine, which needs to be downloaded separately. TruWeb standalone package and the optional dedicated proxy recorder. The correlation rules converter tool can help converting existing VuGen correlation rules to TruWeb format.